New Delhi, India -- The book is an attempt to strip away fanciful stories surrounding the Buddha and reveal him as an ordinary man who had an extraordinary approach to his problems. In his Buddhacharita, Asvaghosha describes in majestic verse the unnatural splendour of the Buddha?s birth: as Indra, the chief of the gods holds the newborn in his hands, two streams of the purest water from the heavens fall on the baby together with mandaara flowers. The baby then utters words of majesty and meaning: ?I am born for the benefit of this world. This is my last birth on this earth.? Amita Kanekar?s debut novel, A Spoke in the Wheel is an attempt to strip away layer by layer such fanciful stories surrounding the Buddha and reveal him as an ordinary man who had an extraordinary approach to his problems. At her hands the Buddha?s story emerges plainer but more than makes up for that by offering a wealth of alternate, rational explanations that challenge blind belief in legends that were formulated largely to serve the selfish interests of particular clans, kings, and communities. The novel has an interesting structure. It begins with the story of Upali, a monk in the Maheshwar monastery on the Narmada. 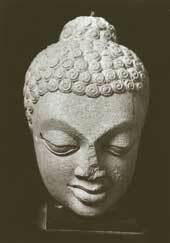 He begins rewriting the life of the Buddha as he sees contradictions in the Suttas. The reader changes lanes every alternate chapter, from the story of Upali set in 256 BCE during the emperor Ashoka?s reign to the story of the Buddha three hundred years earlier as retold by Upali. In his reconstruction Upali adopts what is a blasphemous approach in the eyes of the leaders of the Buddhist sanghas. He portrays the Buddha as an ordinary prince, apathetic to the kshatriyas? vocation of war, abhorrent of their animal and human sacrifices, and sympathetic towards the plight of the slaves and other repressed peoples. Upali?s account is thus shorn of the legendary elements in Buddha?s life - his divine birth, the reasons for him leaving home and hearth and his war with Maara the Tempter on the path to enlightenment. Throughout the book Amita presents issues of ethics and socio-economic relationships that are relevant even today. The ruler-priest nexus that exploits the commoner, the ethical ambivalence of the merchant classes, the morality of war, the issues of displacement and rehabilitation (as in the case of the people of Kalinga after the war with Maghadha) and so on. The book attempts to show that the Buddha went away in search of solutions to these earthly, mundane problems, not esoteric questions of existence. His Middle Way was his solution to the excesses of all types indulged by all classes. Did those who professed to follow the Way, including Asoka, actually do so or did they merely use it for their own ends? The book has some stimulating answers to this question. The narrative is rich in detail and every aspect of life in those ancient times stands out vividly before the reader. There is a glossary of terms at the end. Perhaps the only lacuna is the absence of notes that indicate the sources for Amita?s inferences. At the end of the book we do not have the comfort of knowing what is supported by research and what is imaginatively concocted. But this is not to deny the book?s deserved place on our bookshelf.